A collection of romantic tales ranging from married couples to teenage love. Tales that will make you nostalgic, that will recount your story, that will stun you and those, that will take you to your best memories. 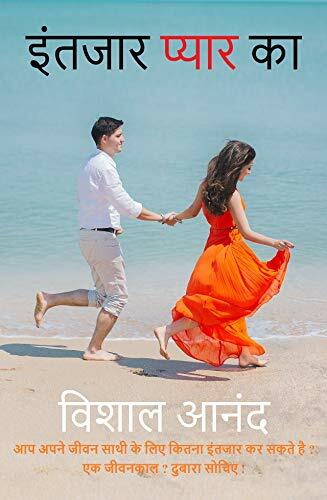 Guiding these tales are a diverse gathering of characters extending from a teenager who fall in love easily to a matured couple who struggle in their love. ‘Intjaar Pyaar Ka’ as the name suggests will take you on a passionate journey between love and marriage. There is just something about the language that has its own simplicity and beauty which elevates the literature to another level. This book consists of three stories which is based over love, relationships and so much innocence in them. The three stories are beautiful and different from each one. The first story is so beautifully put up and something that most of the relations go through. The second one I was somewhat confused with the story but was penned nicely. The third story is also beautiful. I really liked the way the stories are put up in a smooth and simple manner which so many sentences which one will definitely relate too. The cover is also simple showing the bliss of love and then it’s a short read which will refresh you and make you crave back into memories. The title is also all about love how being in love makes you wait for it and most of us are.